Moscow is gravely concerned over the way the situation develops in Syria, Kremlin spokesman Dmitry Peskov told reporters on Sept. 20. "The situation causes very serious concern," he said. "The main thing we can state - is an extremely tense situation," Peskov said, reminding reporters that gunmen from Jabhat al-Nusra (the terrorist organization outlawed in Russia) went into the offensive on Sept. 20. "We know that the Syrian armed forces, that were the only units that observed a ceasefire throughout the whole week, had to retaliate to the offensive," Peskov noted. "We understand that of course such actions put at threat the whole process (of Syrian settlement)," he admitted. 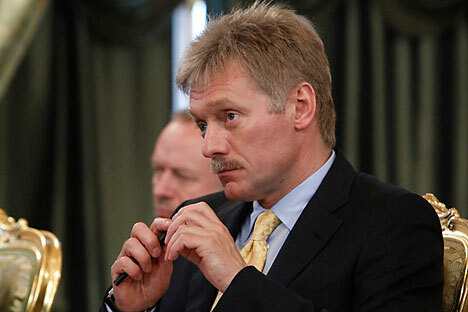 Peskov declined to comment on the shelling of a humanitarian convoy in Syria. "I don’t consider it possible and correct on the whole to make some unfounded deductions, our military currently check information about this shelling," he explained. He said he hoped the Russian military "will get concrete first-hand information and will be able to make a relevant statement".